"Once, a long time ago, I walked down a night-darkened road called Firefly Lane, all alone, on the worst night of my life, and I found a kindred spirit. That was our beginning. More than thirty years ago. TullyandKate. You and me against the world. Best friends forever. But stories end, don't they? You lose the people you love and you have to find a way to go on. . . .""" Tully Hart has always been larger than life, a woman fueled by big dreams and driven by memories of a painful past. She thinks she can overcome anything until her best friend, Kate Ryan, dies. Tully tries to fulfill her deathbed promise to Kate---to be there for Kate's children---but Tully knows nothing about family or motherhood or taking care of people. Sixteen-year-old Marah Ryan is devastated by her mother's death. Her father, Johnny, strives to hold the family together, but even with his best efforts, Marah becomes unreachable in her grief. Nothing and no one seems to matter to her . . . until she falls in love with a young man who makes her smile again and leads her into his dangerous, shadowy world.Dorothy Hart---the woman who once called herself Cloud---is at the center of Tully's tragic past. She repeatedly abandoned her daughter, Tully, as a child, but now she comes back, drawn to her daughter's side at a time when Tully is most alone. At long last, Dorothy must face her darkest fear: Only by revealing the ugly secrets of her past can she hope to become the mother her daughter needs.A single, tragic choice and a middle-of-the-night phone call will bring these women together and set them on a poignant, powerful journey of redemption. 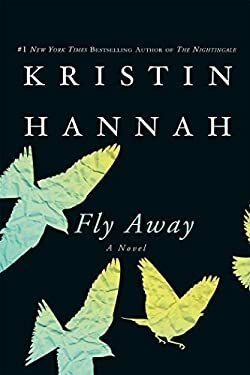 Each has lost her way, and they will need each one another---and maybe a miracle---to transform their lives.An emotionally complex, heart-wrenching novel about love, motherhood, loss, and new beginnings, "Fly Away" reminds us that where there is life, there is hope, and where there is love, there is forgiveness. Told with her trademark powerful storytelling and illuminating prose, Kristin Hannah reveals why she is one of the most beloved writers of our day. New (58 available) BRAND NEW. Over 1.5 million happy customers. 100% money-back guarantee. Make your purchase count: support Better World Books' worldwide literacy partners.